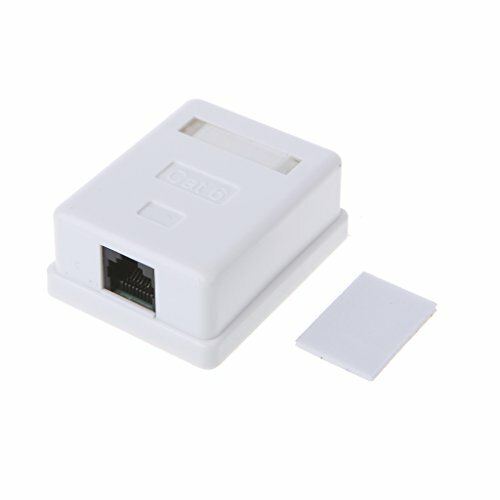 Surface mount CAT 6 box for when in-wall box and wire installation are not possible. A clean and simple solution for network expansion. It is durable plastic and white in color. Or you can use the two screws provided to screw it down to baseboard, window sill, trim, etc.. Box has a slit in the back side to allow the wire to enter the box for flush mounting. Box top snaps on and off for easy access to wires. Use it with stranded or solid cable, any gauge.